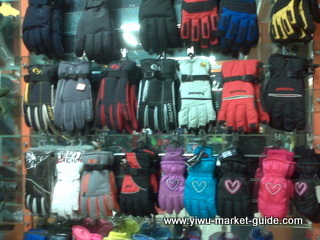 Scale: about 760 gloves and mittens suppliers. 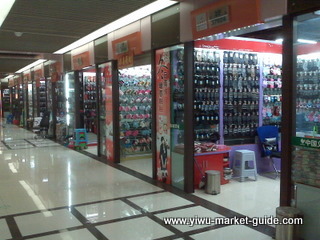 Location: Street No.19-No.30(north part), 2F, D-4, Yiwu International Trade City. 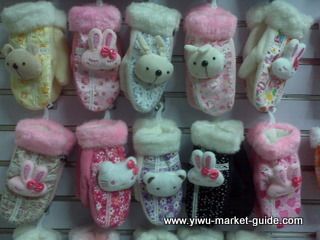 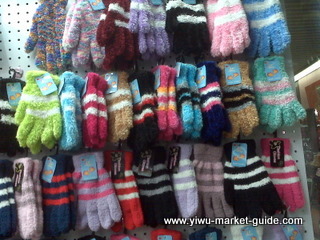 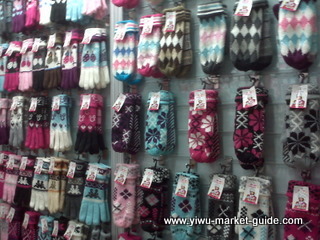 Gloves and mittens is actually a young industry in Yiwu. 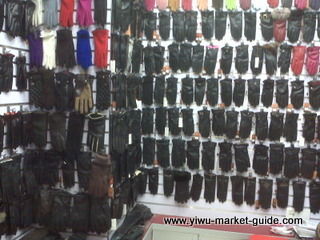 There are about 400 factories in Yiwu now. 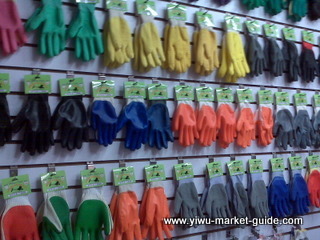 These factories produce over 60% of gloves in China. 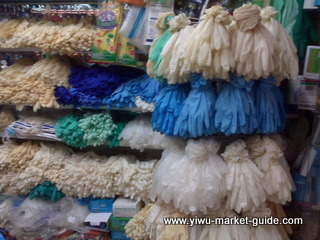 Each year, the total value can be up to 500,000,000 USD. 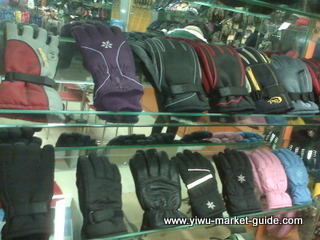 In late 2010, Yiwu is awarded as one of "Top Gloves Producing Cities" in China. 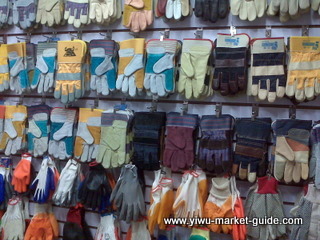 MOQ varies from case to case. 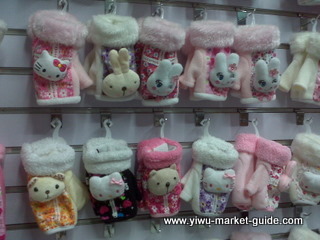 If the products are in stock, the MOQ can be a few hundreds. 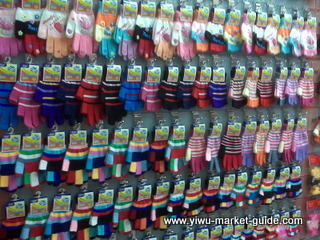 But if they're not in stock, MOQ would be about a few thousands, usually per design can have more than 5 colors. 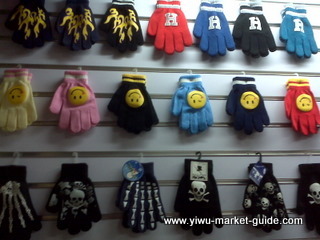 Quality is mostly low-end.